(PS/PSA) (San Diego) 1949 - 1988. Photos. Framable Color Prints and Posters. Digital Sharp Images. Aviation Gifts. Slide Shows. 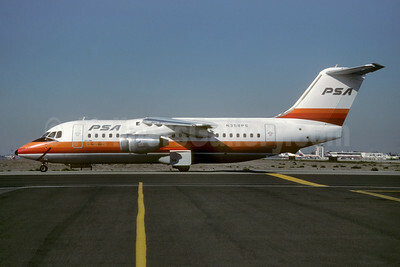 PSA (Pacific Southwest Airlines) BAe 146-100 N5828B (msn E1002) YUL (Pierre Langlois). Image: 945188. 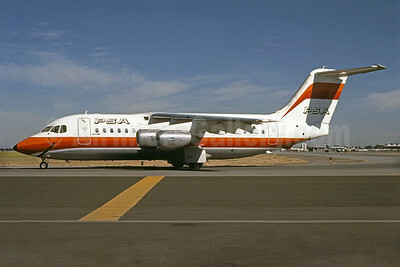 PSA (Pacific Southwest Airlines) BAe 146-200 N184US (msn E2044) (USAir colors) LAX (Brian J. Gore - Bruce Drum Collection). Image: 945180. 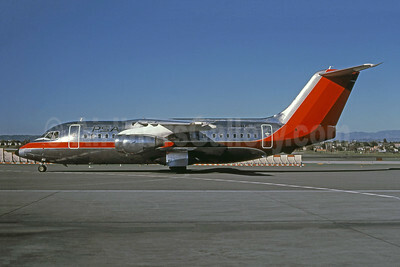 PSA (Pacific Southwest Airlines) BAe 146-200 N189US (msn E2048) SJC (Seymour A. Hills - Bruce Drum Collection). Image: 945181. 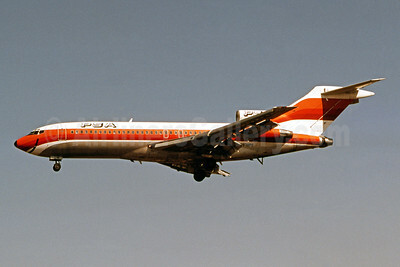 PSA (Pacific Southwest Airlines) BAe 146-200 N347PS (msn E2023) SEA (Bruce Drum). Image: 100985. 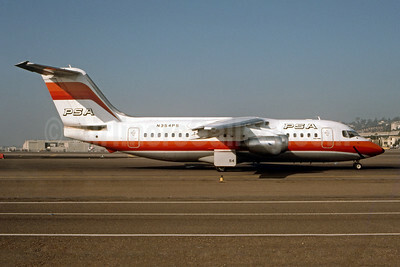 PSA (Pacific Southwest Airlines) BAe 146-200 N348PS (msn E2024) SJC (Bruce Drum). Image: 100984. 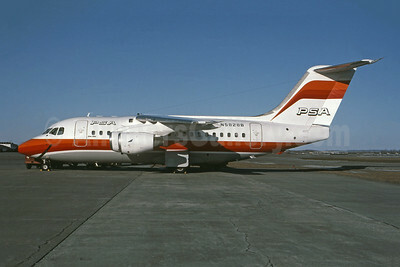 PSA (Pacific Southwest Airlines) BAe 146-200 N354PS (msn E2034) SAN (Ron Monroe). Image: 945179. 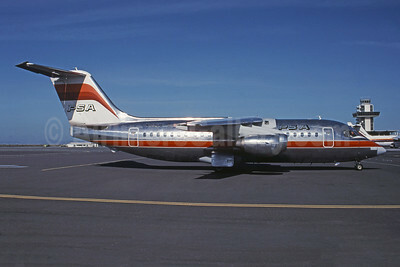 PSA (Pacific Southwest Airlines) BAe 146-200 N357PS (msn E2042) SJC (Thomas Livesey). Image: 945180. 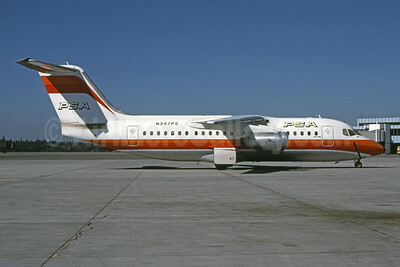 PSA (Pacific Southwest Airlines) BAe 146-200 N358PS (msn E2041) SJC (Thomas Livesey). Image: 923639. 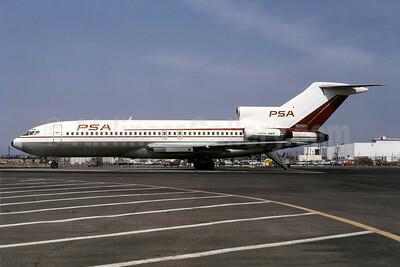 PSA (Pacific Southwest Airlines) Boeing 727-2Q8 N791L (msn 21608) SEA (Bruce Drum). Image: 100972. 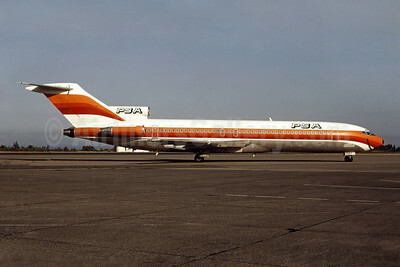 PSA (Pacific Southwest Airlines) Boeing 727-14 N970PS (msn 18908) LAX (Ted J. Gibson - Bruce Drum Collection). Image: 100966. 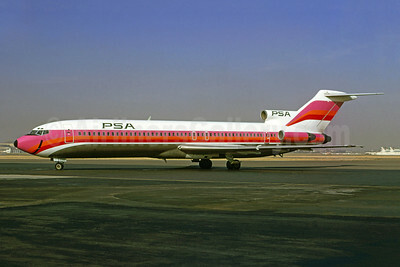 PSA (Pacific Southwest Airlines) Boeing 727-14 N972PS (msn 18910) LGB (Bruce Drum). Image: 100967. 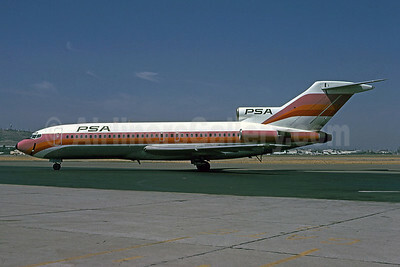 PSA (Pacific Southwest Airlines) Boeing 727-51 N978PS (msn 18801) LAX (Ron Monroe). Image: 945187. 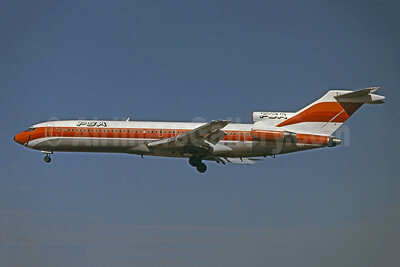 PSA (Pacific Southwest Airlines) Boeing 727-214 N533PS (msn 19688) LGB (Bruce Drum). Image: 104882. 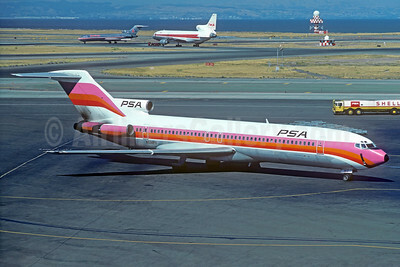 PSA (Pacific Southwest Airlines) Boeing 727-214 N538PS (msn 20164) SFO (Jacques Guillem Collection). Image: 932767. 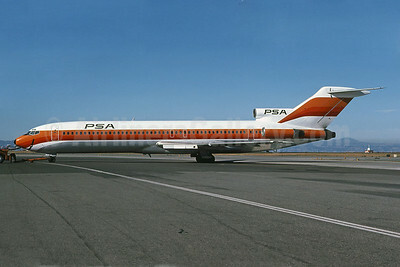 PSA (Pacific Southwest Airlines) Boeing 727-214 N545PS (msn 20169) SFO (Bruce Drum Collection). Image: 100970. 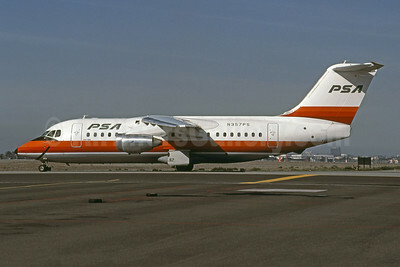 PSA (Pacific Southwest Airlines) Boeing 727-214 N551PS (msn 20679) SJC (Thomas Livesey). Image: 945189. 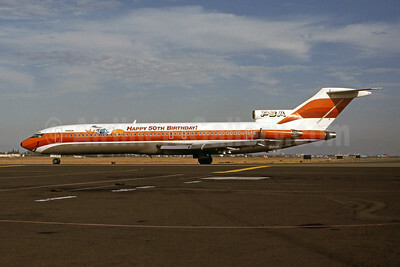 PSA (Pacific Southwest Airlines) Boeing 727-214 N555PS (msn 21512) (Donald Duck - Happy 50th Birthday!) SFO (Christian Volpati Collection). Image: 909002. 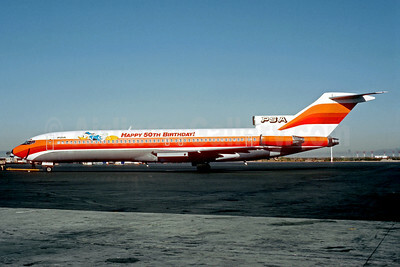 PSA (Pacific Southwest Airlines) Boeing 727-214 N555PS (msn 21512) (Donald Duck - Happy 50th Birthday!) SJC (Thomas Livesey). Image: 100971. 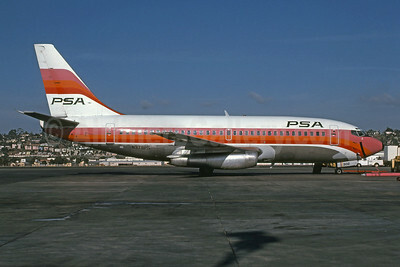 PSA (Pacific Southwest Airlines) Boeing 737-214 N379PS (msn 19682) SAN (Richard Black - Bruce Drum Collection). Image: 100975. 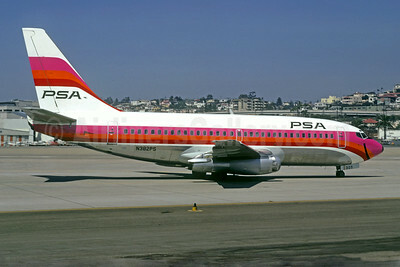 PSA (Pacific Southwest Airlines) Boeing 737-214 N382PS (msn 20155) LAX (Jacques Guillem Collection). Image: 904942. 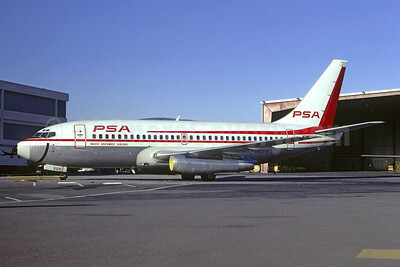 PSA (Pacific Southwest Airlines) Boeing 737-214 N382PS (msn 20155) SAN (Christian Volpati Collection). Image: 923815. 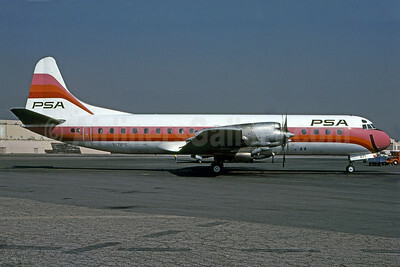 PSA (Pacific Southwest Airlines) Lockheed 188C Electra N171PS (msn 1091) BUR (Ueli Klee - Bruce Drum Collection). Image: 100963. 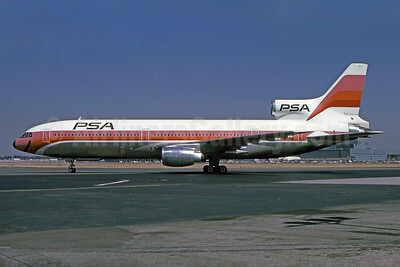 PSA (Pacific Southwest Airlines) Lockheed L-1011-385-1 TriStar 1 N10112 (msn 1064) LGB (Bruce Drum). Image: 100978. Thank you Danny. They were a colorful carrier and missed by me. 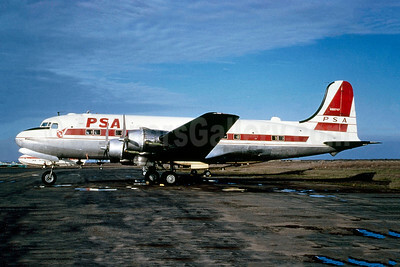 Fond memories of PSA! Thanks for sharing your collection.